We call it “Activation” when an employee uses the activation code to set up their account in Happyforce. In this example, 89% of the invited employees have used the activation code to set up their accounts and are ready to participate and share feedback. Ask them directly to participate. Let people know this is important, and that their participation is key. Explain how their feedback will help you and the organization to understand what are their priorities and to identify the subjects that need to be discussed or clarified. Remind them that you're always open to talk face to face, but that Happyforce offers a new alternate channel to connect. And most important: send this message directly. Use email, intranet or any other internal communication channels available in your company. Deploy the Happyforce Ninjas. These are ambassadors of your corporate culture, positive individuals that bring people together. Ask them for help to encourage their teammates to install and activate the Happyforce app. Share with the group. Share what you’ve learned and the things you’re doing thanks to their feedback with everybody who’s invited to participate. 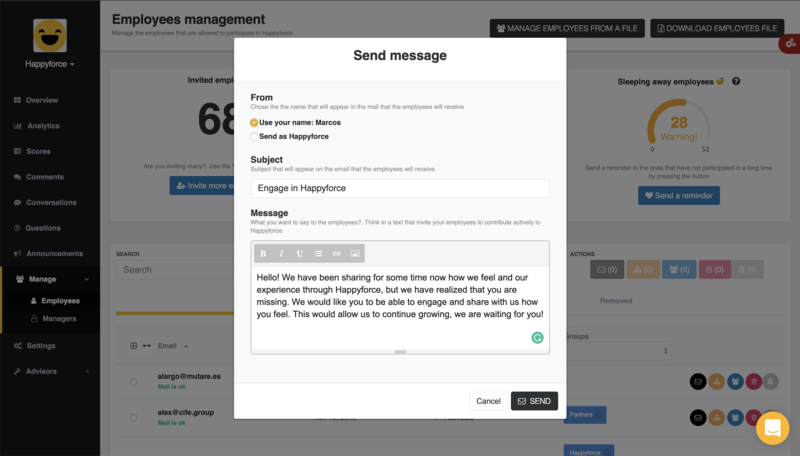 Be grateful 🙏 to them for sharing feedback and using Happyforce. This will encourage the “late adopters” to install and activate the app. Message: Hello! 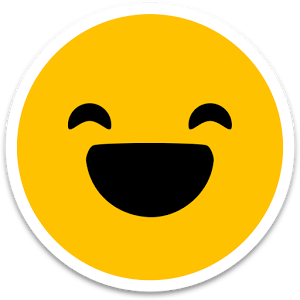 We have been sharing for some time now how we feel and our experience through Happyforce, but we have realized that you are missing. We would like you to be able to engage and share with us how you feel. This would allow us to continue growing, we are waiting for you! If you feel you’ll need an extra push to make your people activate, we also offer an employee awareness session where we can talk with them directly to clarify doubts, share experiences from other companies and help them understand how daily feedback can improve their day to day at the organization. Just contact us here and ask for help.